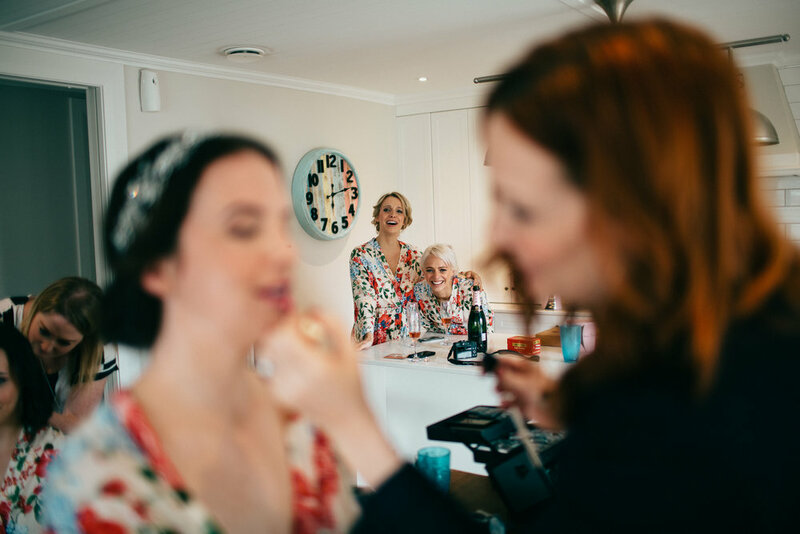 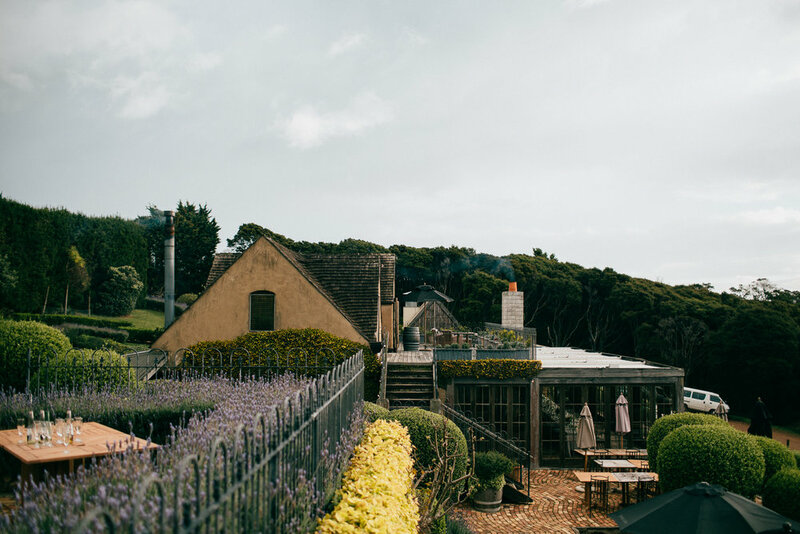 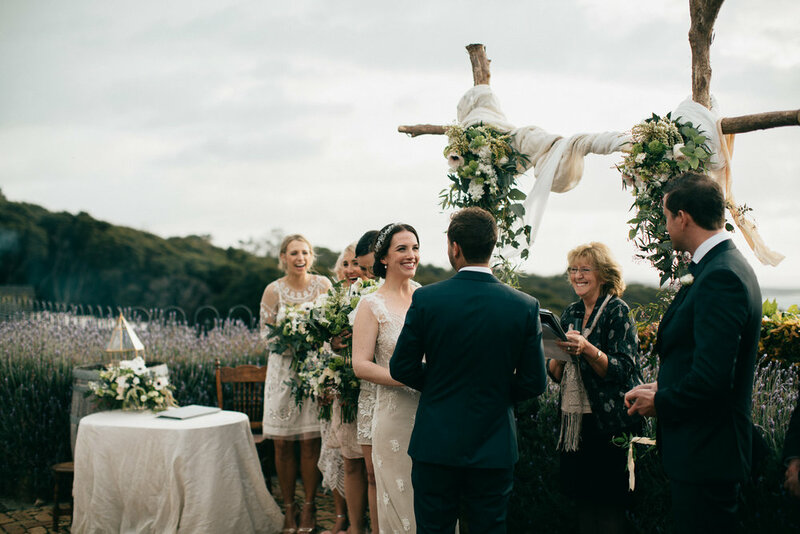 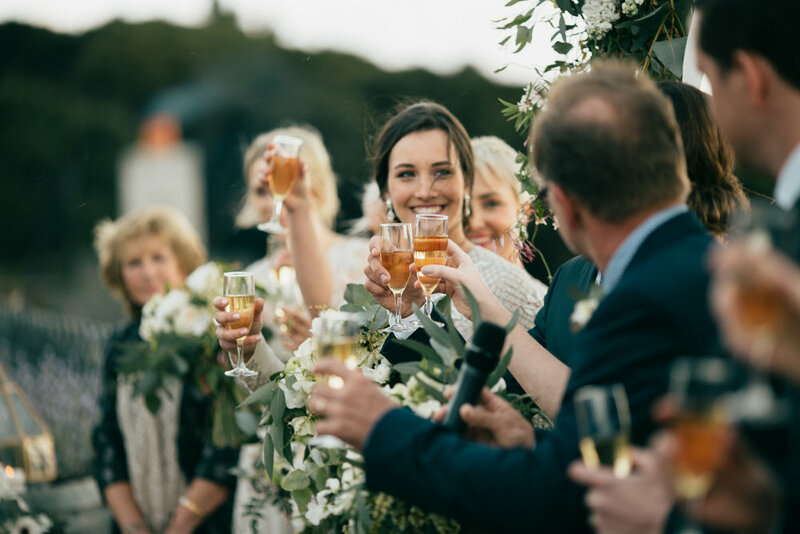 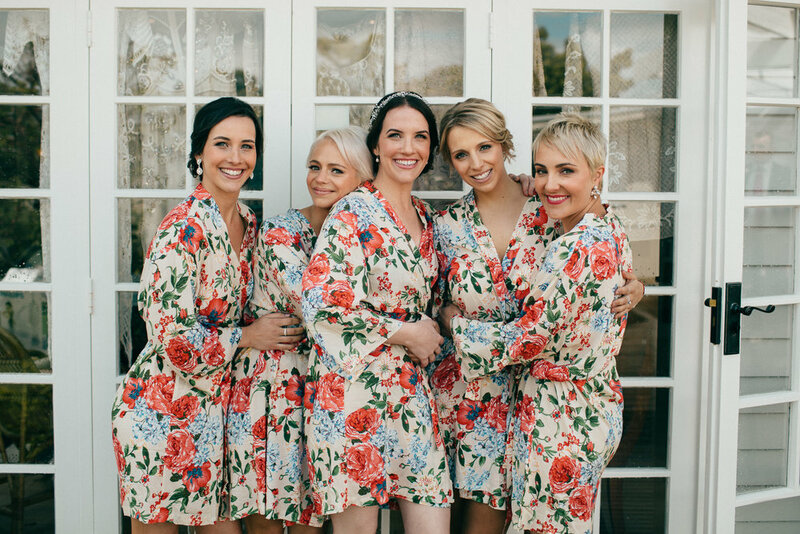 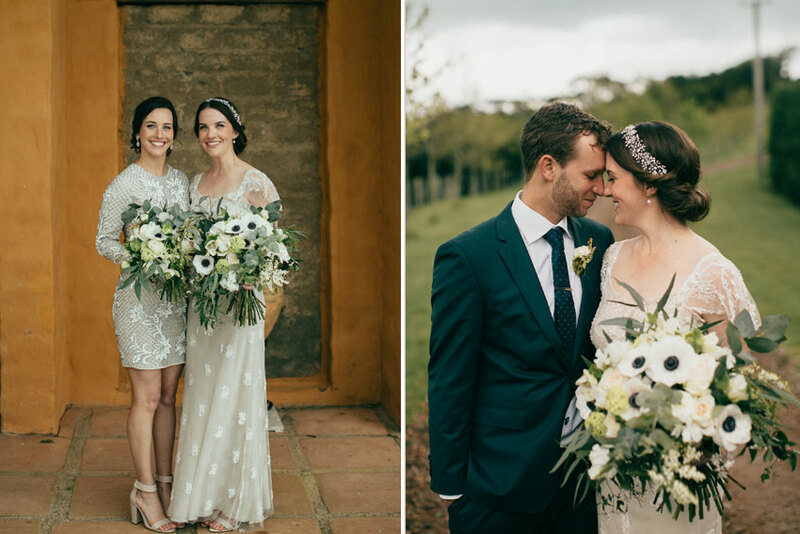 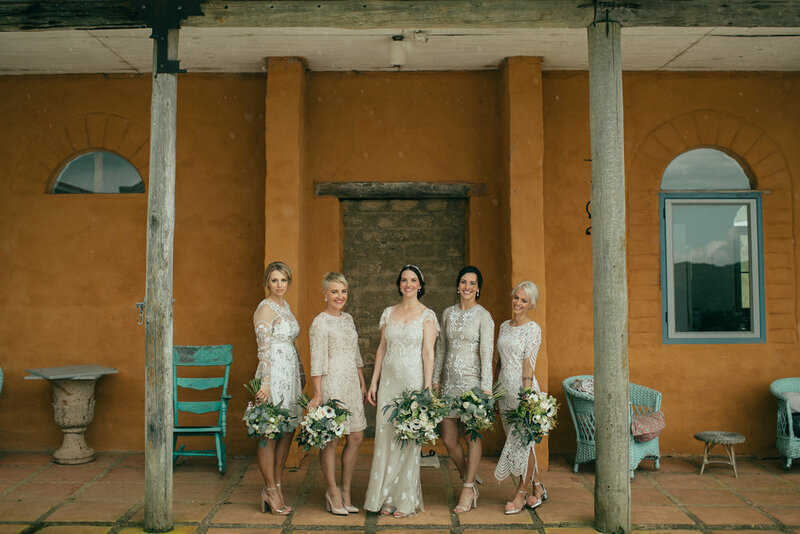 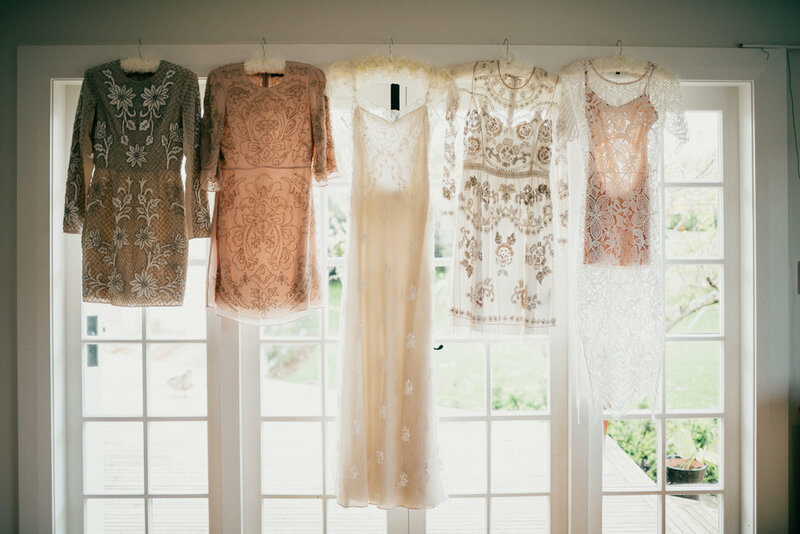 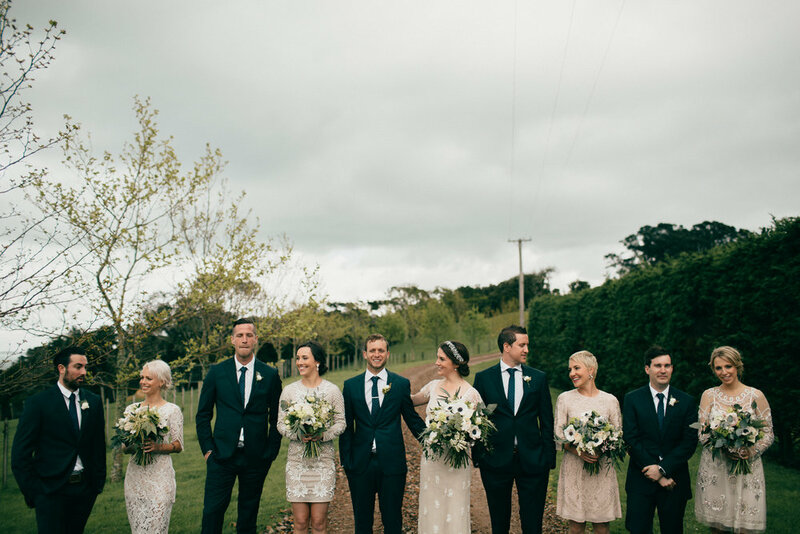 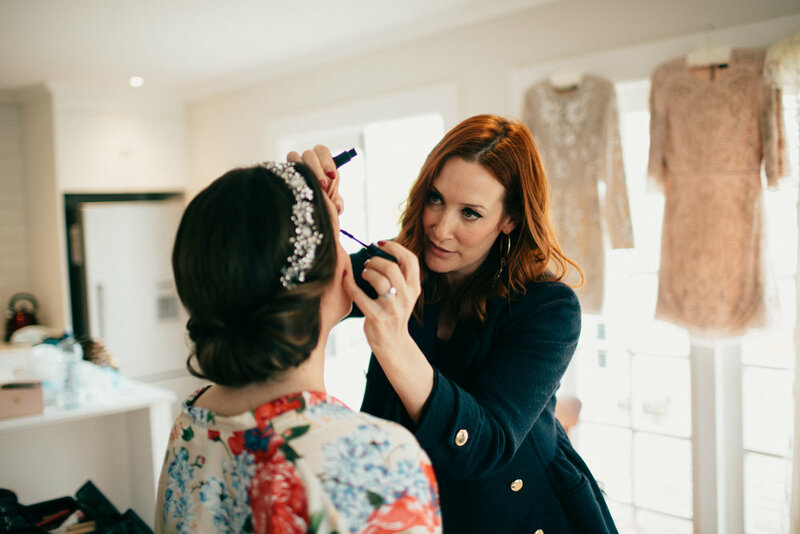 Ashley and Dan planned their destination wedding from Australia, at the beautiful Mudbrick Vineyard Restaurant here on Waiheke Island. 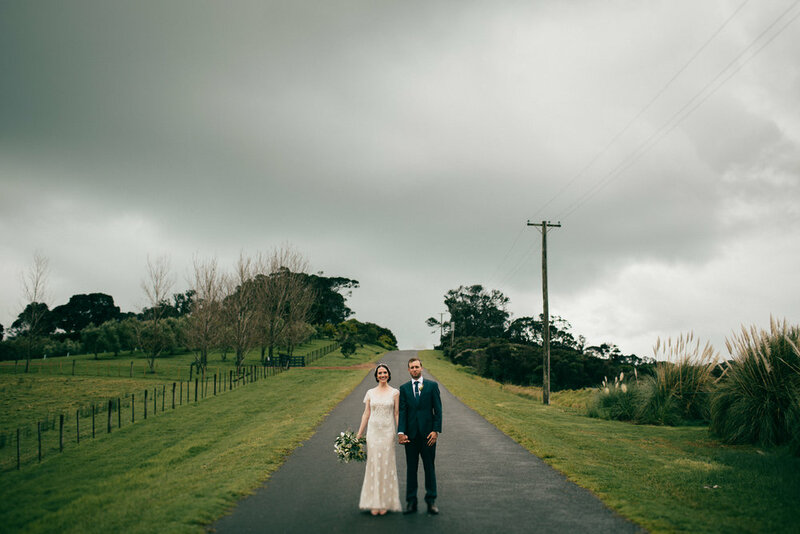 Being early spring, the day was overcast with moody grey skies and a sprinkling of rain, yet the colour, laughter and joy of the day far outshone the weather! 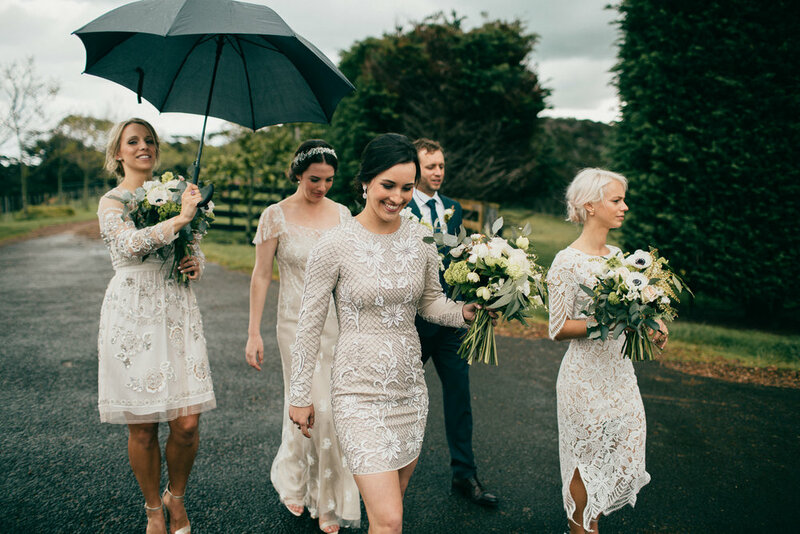 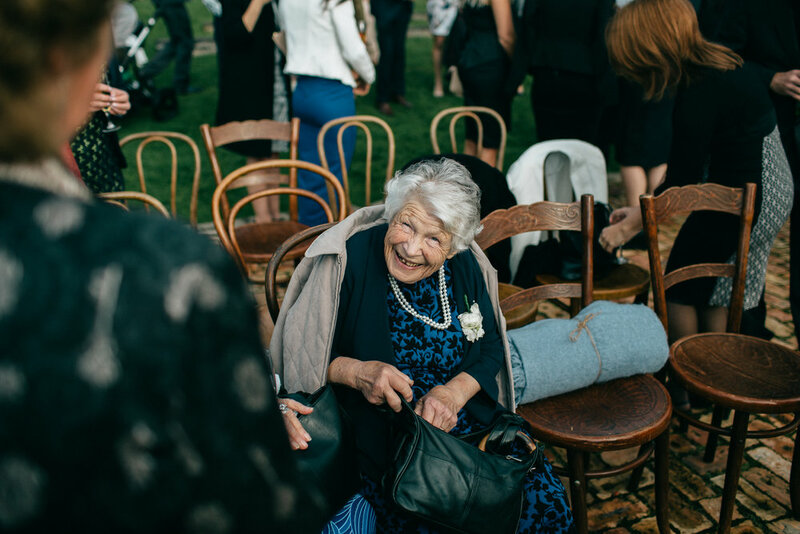 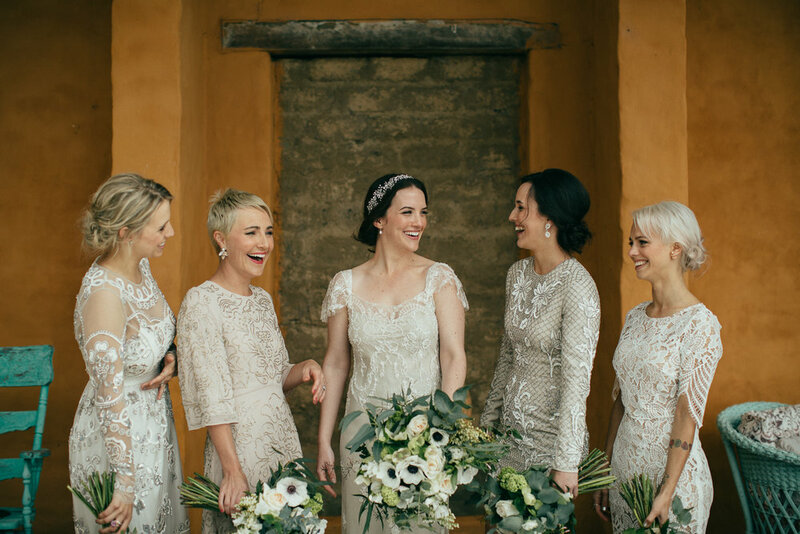 As you will see from these amazing photos, it doesn't really matter what the weather is doing, a wedding day is always filled with magical moments! 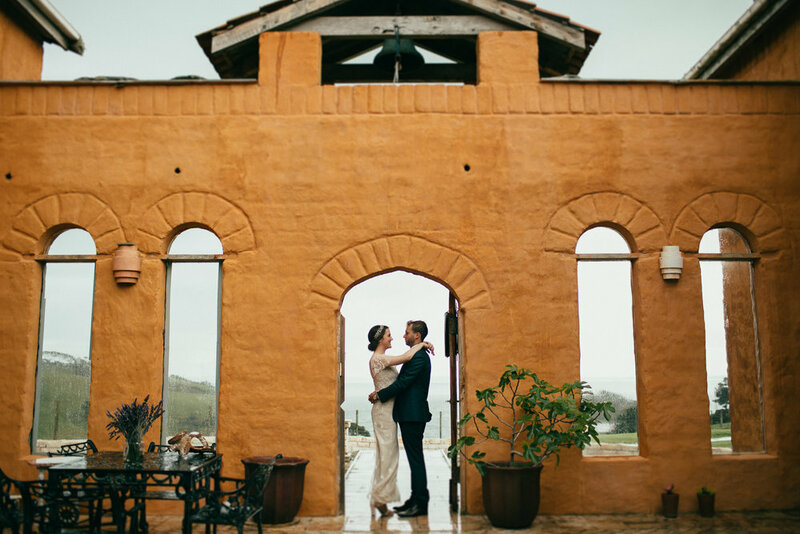 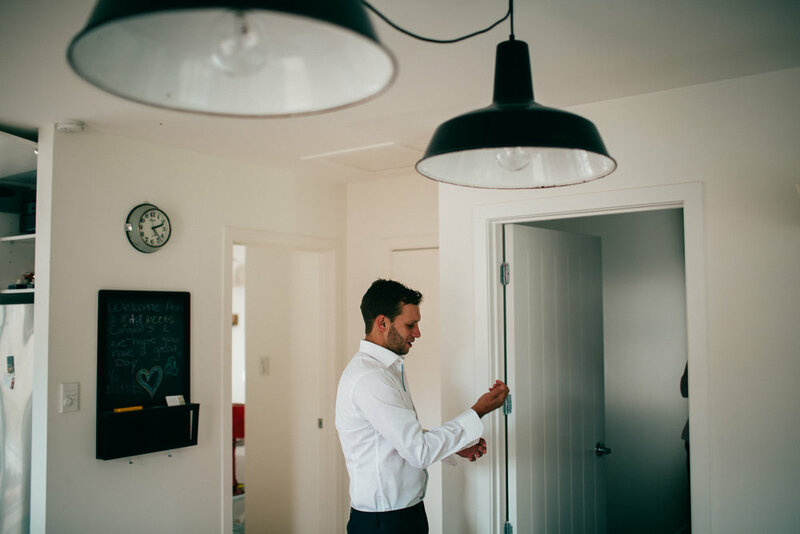 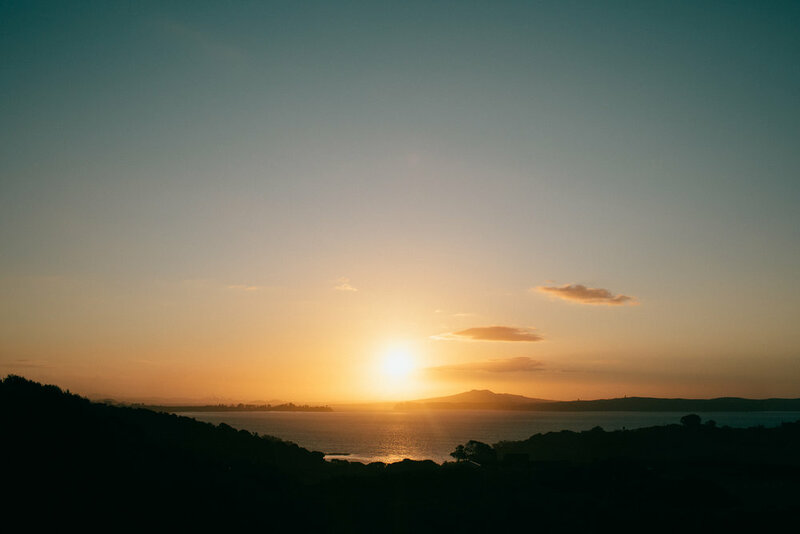 With the awesome photographers Chasewild on board for the day, a beautiful selection of images were captured including some great pre-wedding shots from nearby location Casale di Terra. 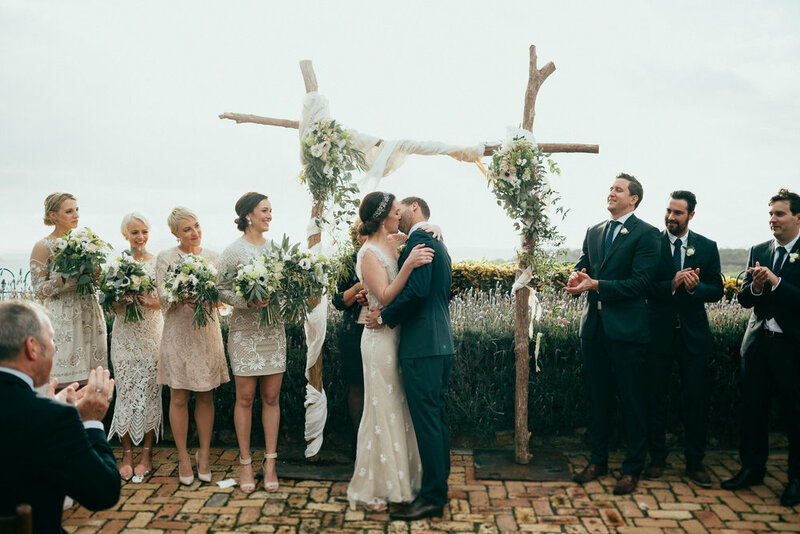 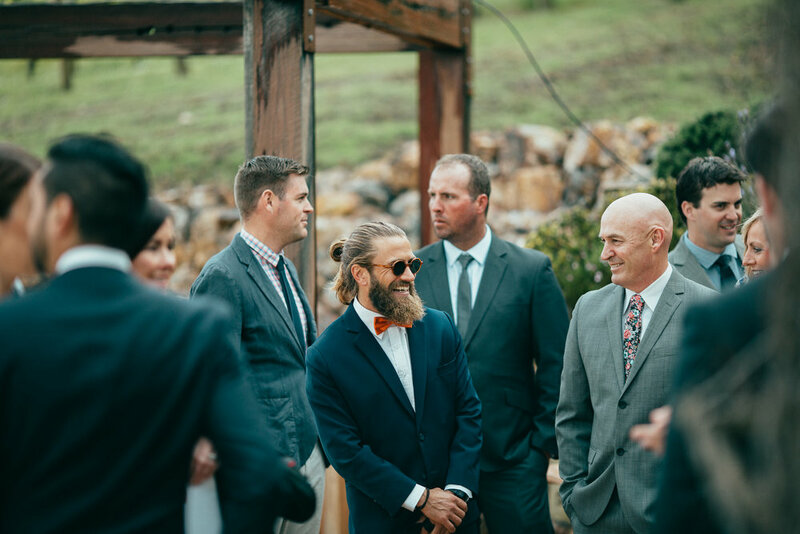 Catching a brief moment in between the showers, we were able to set the ceremony up on the top patio at Mudbrick. 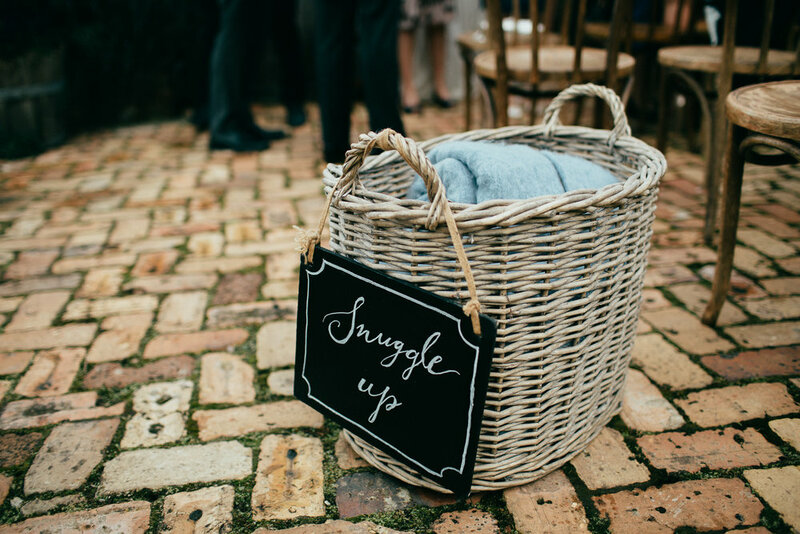 Equipped with blankets and umbrellas, the team made sure everyone was warm and ready for the Bridal entrance. 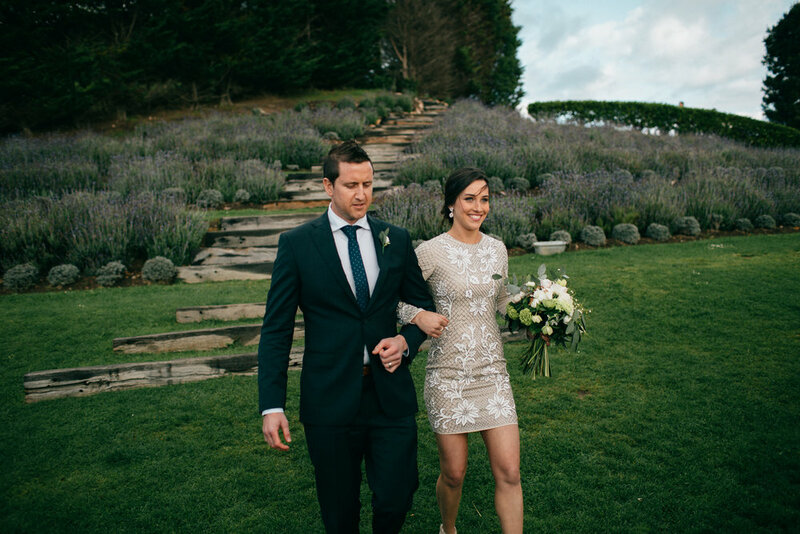 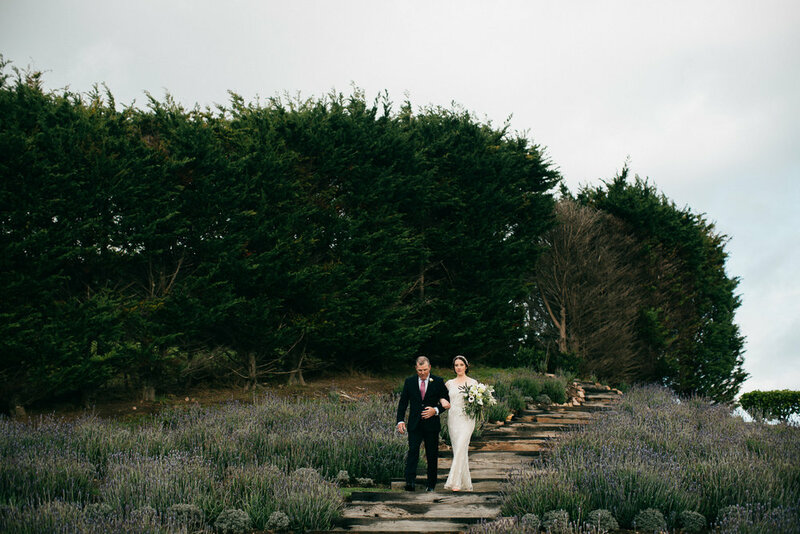 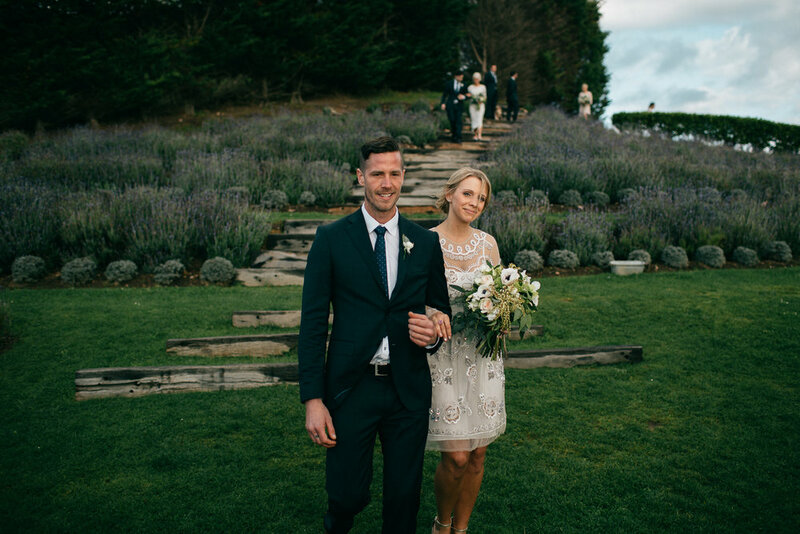 Ashley looked absolutely stunning walking down through the lavender gardens to her ceremony. 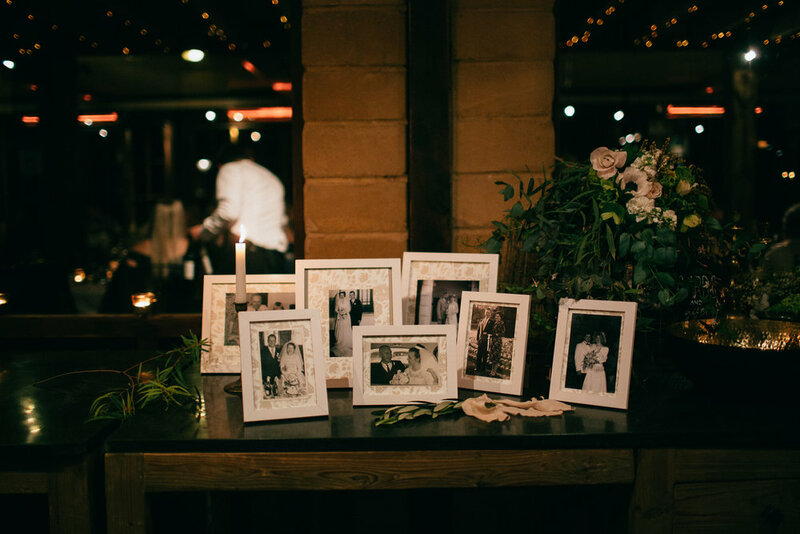 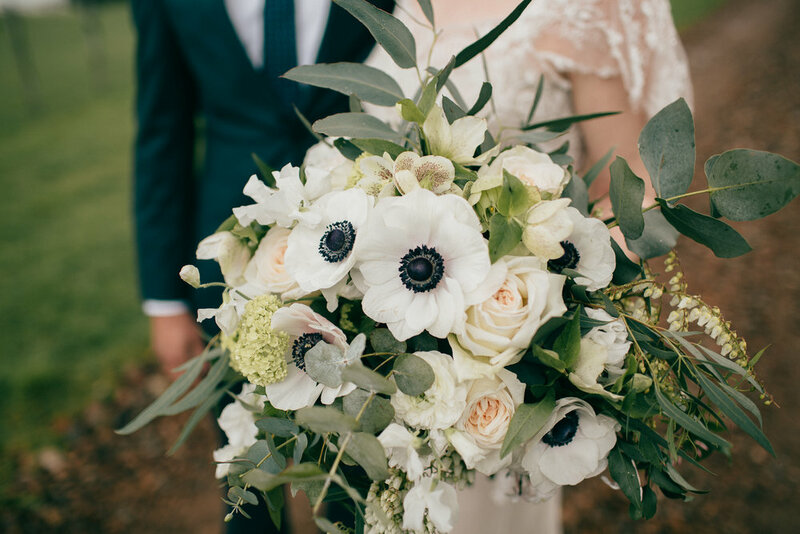 The floral arrangements were wild, whimsical and in abundance, incorporating one of our favourites - spring anemones with deep black centres, these are so striking for bouquets and on for the tables. 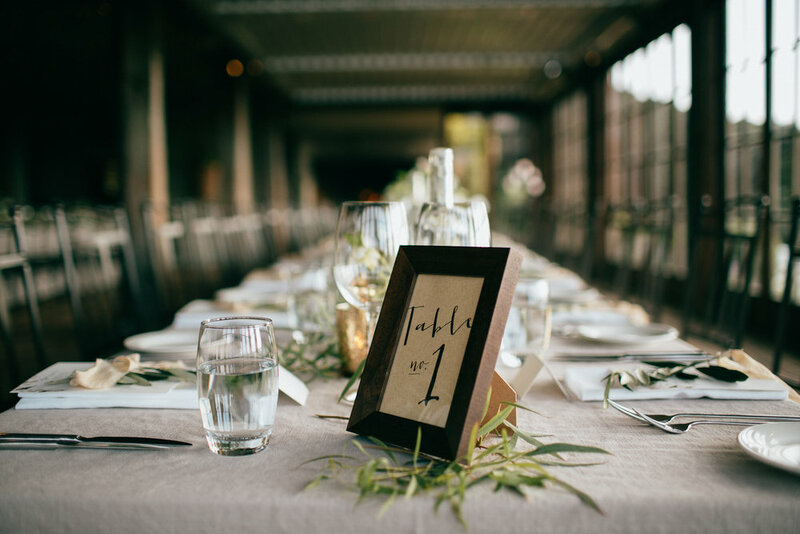 Inside for the reception we opted for a more informal table plan with two long tables running down the central room. 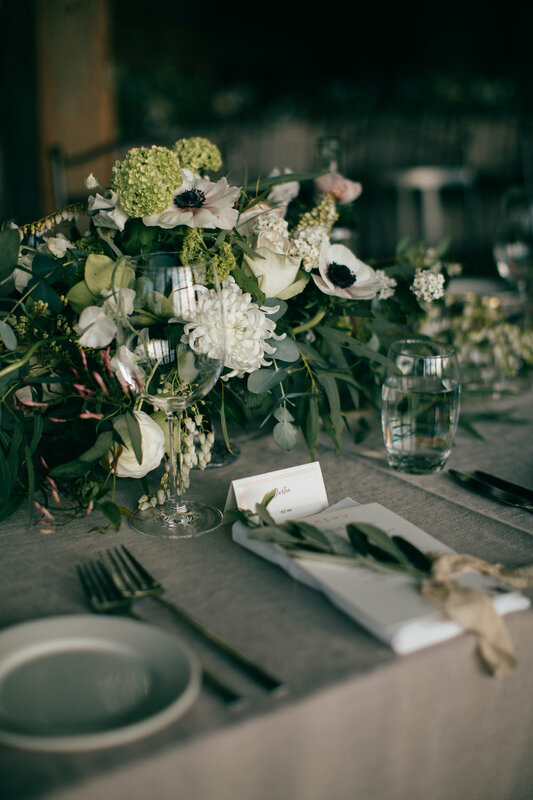 We also brought in a lovely textured linen tablecloth, which really added to the warmth of the space. 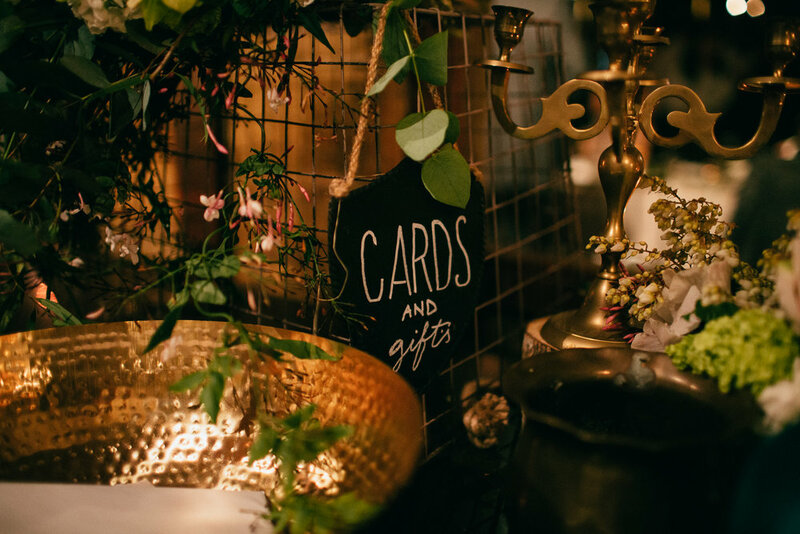 Many candles in golds and brass are always a great match at this venue, and we customised the place settings with a lovely silk ribbon tied sprig of Olive. 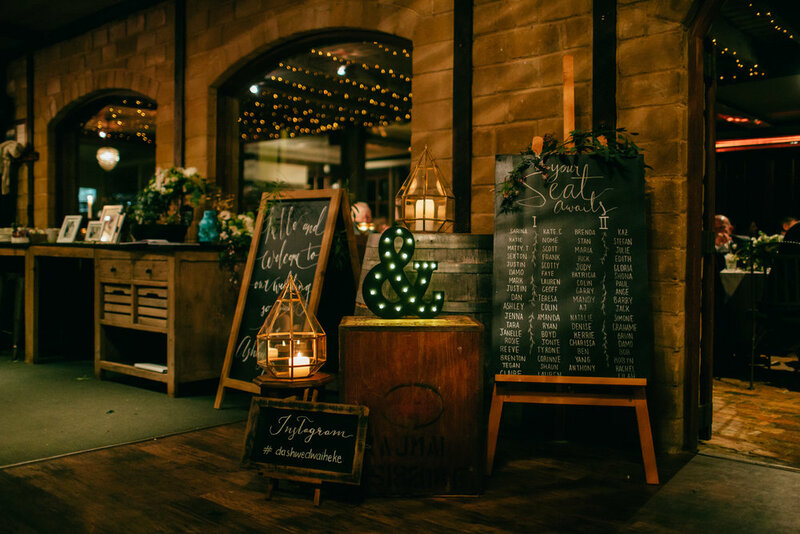 Other details which really made this such an enjoyable occasion was the Grooms Whiskey Bar set up on the mezzanine, which is a really great use of this space. 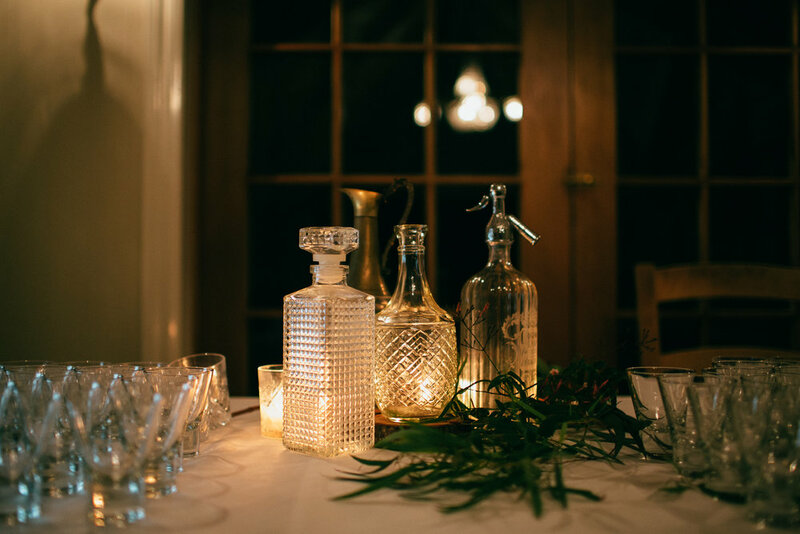 A small lounge and bar was created, which was well used later on in the evening! 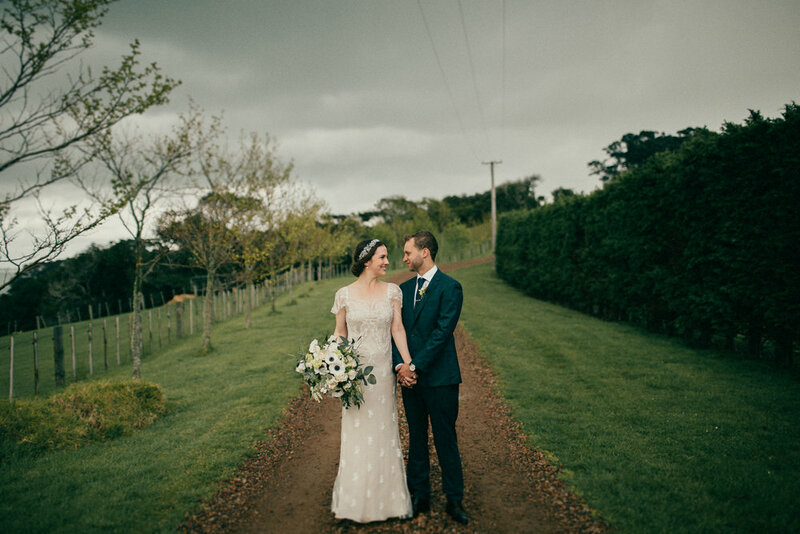 Both Ashley and Dan were such a delight to work with, incredibly relaxed with a clear idea of how they wanted the day to feel. 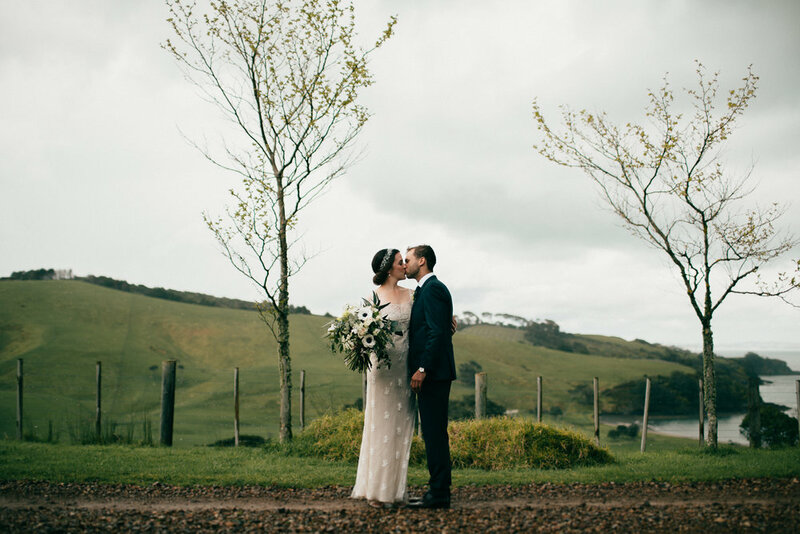 We adore couples like this, and it was such a pleasure to have met and worked with these two. 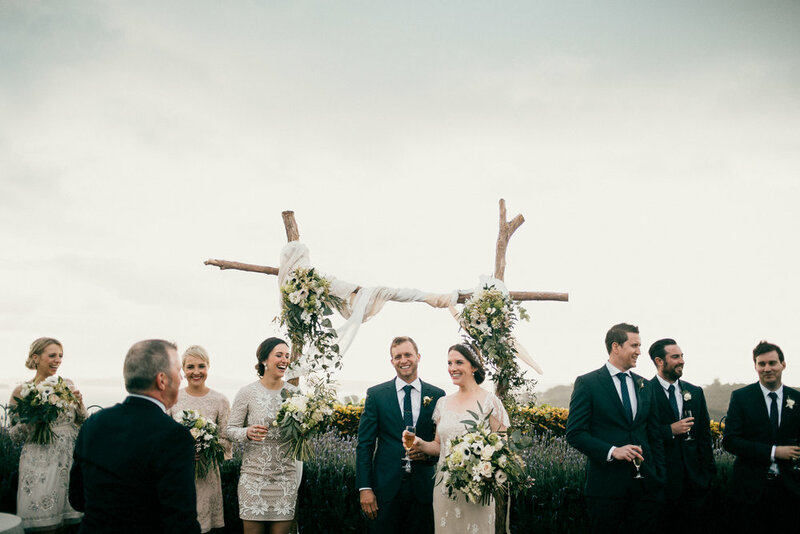 The end result was an incredible wedding!